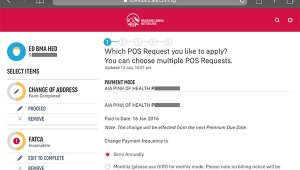 Insurance giant AIA fills in the gap with Singapore’s first diabetes insurance plan. These days, it is already quite easy to gain peace of mind and get insured against nearly all types of diseases, thanks to a number of comprehensive insurance packages being offered to the public. But the situation may be less assuring for those afflicted with diabetes. Dr Abel Soh, an endocrinologist at Mt Elizabeth Medical Centre, notes that the number of people with diabetes mellitus in Singapore is growing at an alarming rate, with more diagnosed at a younger age. In fact, Singapore General Hospital data reveal that more people are getting diabetes before 40. “To make matters worse, many individuals do not even know that they have diabetes until complications arise,” adds Dr Soh. Diabetics are also at a higher risk of developing other conditions such as cardiovascular issues, blindness, stroke, and even kidney failure. But despite these worrying statistics, only a small number of Singaporean diabetics find themselves properly insured. 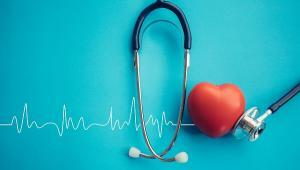 In order to meet this demand for insurance for diabetics, insurance giant AIA Singapore recently rolled out AIA Diabetes Care, Singapore’s first insurance plan designed for Type 2 diabetics and pre-diabetics. “Dealing with diabetes is a lifelong challenge, and we want to help Singaporeans and their families as they fight their personal battles. 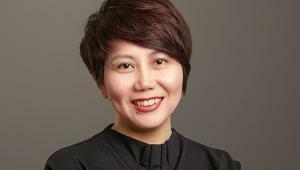 We believe everyone deserves the coverage they need, especially after being diagnosed with a chronic illness,” says Ms Ho Lee Yen, Chief Marketing Officer of AIA Singapore. 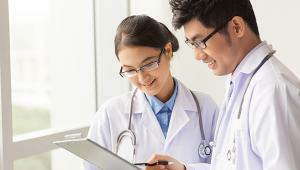 AIA Diabetes Care provides key benefits for its policyholders, firstly by guaranteeing easier access to protection and coverage for five key diabetes-related complications – blindness, kidney failure, stroke, heart attack, and coronary artery by-pass surgery – with guaranteed level premiums that remain unchanged throughout the whole policy. Policyholders may also opt for an add-on protection with Cancer Cover, providing additional protection for early or intermediate stage cancer and major cancer. As a type 2 diabetes, you can still continue to live a fulfilling life by leading an healthy lifestyle through eating healthily, exercising more and losing weight, going for regular screenings, stop smoking and reducing alcohol in-take2 - A 1% drop in HbA1C levels lowers the risk of diabetes-related complications significantly – such as amputations by 43% and microvascular complications by 37%. To motivate positive behavourial change, AIA Diabetes Care features several AIA Vitality enhancements that rewards you for each healthy choice you make, however small. AIA Vitality members are able to enjoy up to 15% discount on future premiums, discounted health screening packages, and access to a healthy eating programme based on their Vitality Nutrition Assessment3 - A value unseen in any other insurance package. “We want to score against diabetes through protection, improvement, and prevention,” says Ms Ho. “As it is a chronic condition, I know of individuals with diabetes who struggle emotionally and financially, having to deal with the consequences of the disease,” says Dr Soh. According to Ms Ho, the rollout of AIA Diabetes Care is rooted in AIA Singapore’s strong belief in the success of private-public partnerships, especially in the area of healthcare. “We strongly believe that there is a significant role the private sector can and should play in this national movement to support the numerous government-driven initiatives such as the recently announced enhancements to screening subsidies to curb diabetes in Singapore,” she says. Ms Ng Ying Ying, a teacher with diabetes, recalls, ”As a type II diabetic, any diabetes-related condition would be excluded from new insurance policies as a pre-existing condition. This meant that if I wanted to purchase additional coverage, my premiums would be very high or my existing condition may even be excluded. There were also no available insurance plans offering sufficient coverage for type II diabetes to begin with.” She is delighted that AIA Singapore is championing this cause with AIA Diabetes Care to give people easier access to protection and financial security.